We are a Christian-based organization, located in Northeast Ohio, dedicated to the research and investigation of paranormal activities, and educating the public about ghosts and the field of the paranormal. We research claims of hauntings, ghost sightings, and other purportedly paranormal activities. In addition, we assist other paranormal agencies with their investigations and research. It was $20 per person. There was a lively discussion on the mailing list about whether or not anyone should pay for, and thus support, the spread of dubious claims and ideas. Some felt that all the information one needs to know about ghost researchers is already on the web, especially at skeptic-based websites, and one person even went so far as to comment, "a fool and his money are soon parted." I decided to go to the local ghost hunter group's seminar because I wanted to learn a few things. I wanted to learn exactly what a ghost is and what a spirit is. I wanted to see what their best evidence was that proved, like the title of their seminar, ghosts are real. Lastly I wanted to learn how to investigate a supposed "haunted" house. I wanted to submerge myself in the beliefs of proponents of the paranormal. 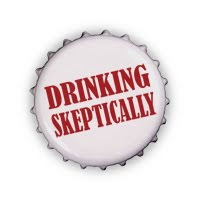 I was expecting to hear all kinds of misconceptions about skeptics and science. I was expecting to hear more ghost stories than any hard evidence. Just the usual stuff that one would expect at a seminar like this. I also wanted to go to this seminar to investigate the ghost investigators, because I'm always looking for an opportunity to learn what the believers believe and why they believe it. I think it adds credibility to what we skeptics say and do. Believers and the public at large will take us seriously and not be so quick to cast us off as "closed-minded-know-it-all skeptics". We will not gain any insights into the mind or psyche of the believer if we continually just dismiss them and their claims out-of-hand. Especially if we just explain away everything paranormal with "oh, they were drunk, high, etc." That doesn't help our cause or help us learn anything. I went to this seminar because I wanted to learn, get field experience, and gain credibility. I'm happy to say that I acheived all three. I feel that as part of being a skeptic, I ideally must find out as much information about a topic, and from multiple sources in order to understand and make a judgment about it. In the case of ghosts, I felt that I had not come across adequate evidence yet to make me believe. In fact, I had not even heard a really good definition or explanation of why they exist. However, I had never really sought out much information, either. Although skeptical sources thoroughly argue against much of the "evidence" for ghosts out there, if I were not to go to pro-ghost sources, I would be limiting the scope of information I took in. I may not be 100% comfortable with it, but I feel there are times when there are excellent opportunities to in person learn from and interact with true believers is to pay. I felt this was one of those situations. It was 4 hours of lots of information, q&a, photos and demonstrations. I expected this seminar to come across as silly and for my eyes to roll right out of my head. But surprisingly overall, it was a lot different and a lot more enlightening than I expected.